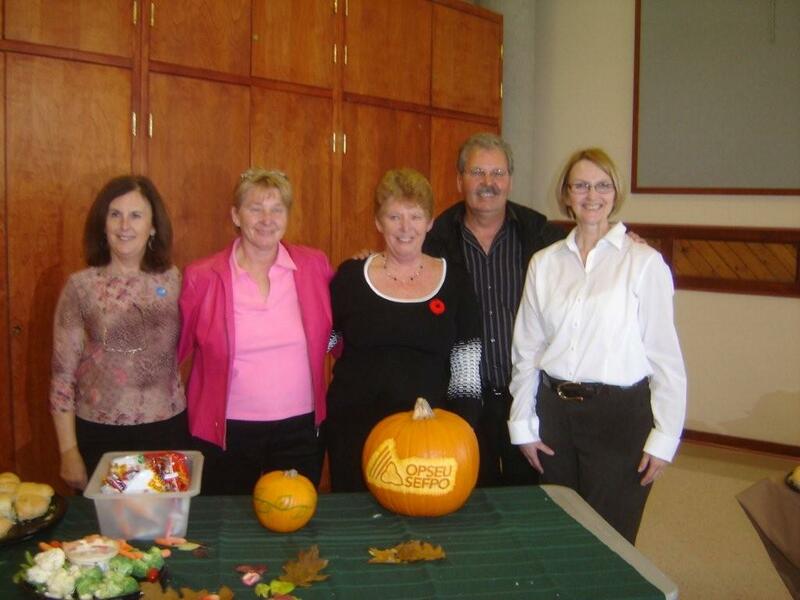 On Oct 28th President Smokey Thomas spoke to a packed General Membership Meeting of local 338 in Barrie. Brother Thomas congratulated the Executive for all the work they have done within the local. He spoke to the members about the Provincial deficit and what impact this will have on the future of Public Services in the Province. Sister Lesley Chislhom, Region 3 Census mobilizer presented to the membership, information regarding the current “Count Me In” OPSEU Census campaign. November is Census month and all members are encouraged to link onto www.twiinc.ca/opseu to fill out this very important census, it will only take 15 minutes and is strictly confidential. 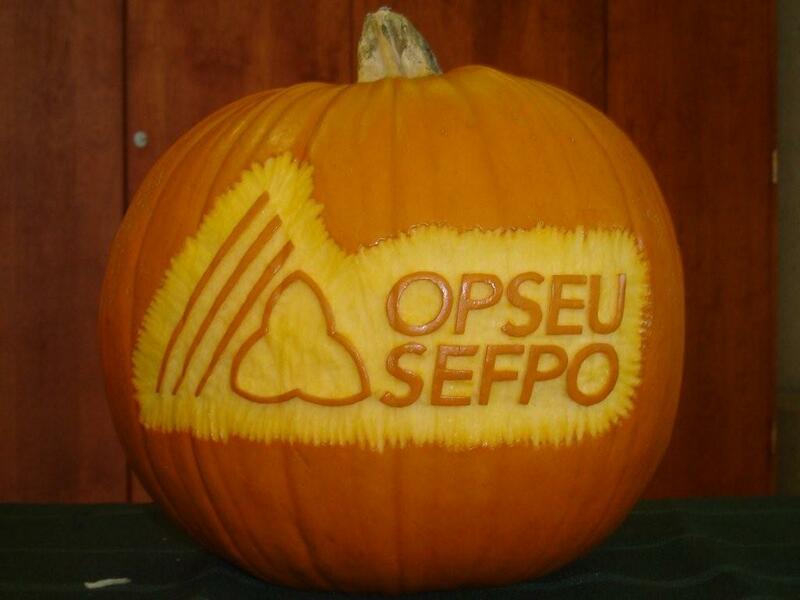 Local 338 trustee Jennifer Spencer showed off her artistic abilities by carving an OPSEU pumpkin to decorate the refreshment table. Congratulations to Sister Beth Murphy, Sister Barb Ritchie, Sister Diane Logsdail, and Sister Suzanne Arsenau who were all re-elected as Local 338 Executive.